The routine opens and finishes with Vogue and this classic track has inspired both the distinctive styling of the walk-on and walk-off and the costuming of the women. The ladies wear elegant black and pink gowns designed and made by DC Dancewear of Coventry, whilst the men are in a classic black look. The music travels through Madonna music of different periods, including Hanky Panky, Hung Up and Substitute for Love and includes a clock motif running through the piece to reference this. 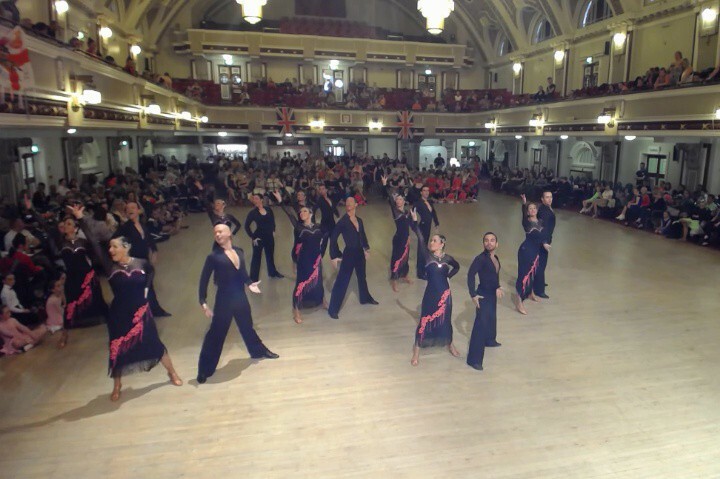 XS Latin B was proud to debut Vogue at the British Open Championships in Blackpool on 29th May 2015.